Many kitties have slight imperfections. We sleuth out the most common (and darling) of them. 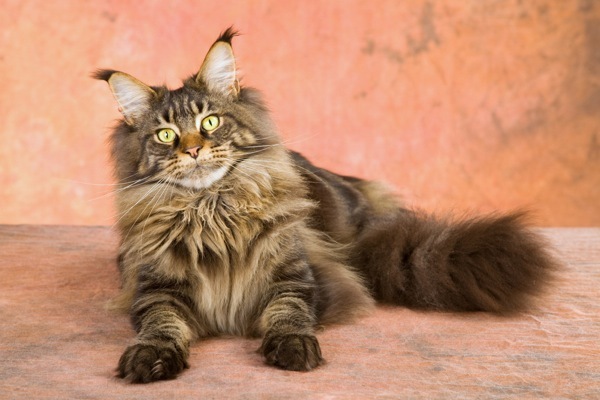 Some of the most unique breeds in the cat fancy had their origins in a random mutation. But the most common mutation can be found in cats of all species, all over the world. 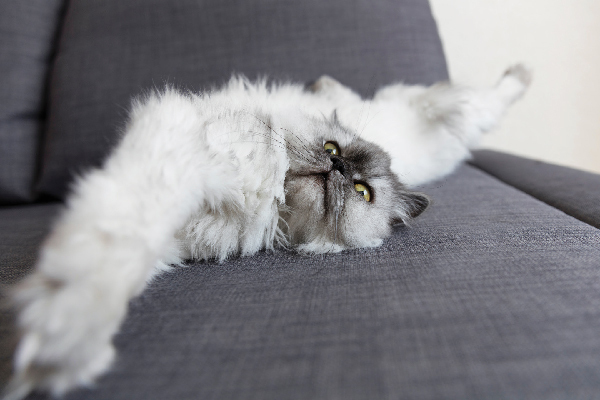 Read about how some of the coolest, and freakiest, cat characteristics came to be. Also known as mitten cats, Hemingway cats, and six-toed cats, this mutation is most commonly found in eastern North America and southwestern United Kingdom, but polydactyl cats can be found all over the world. 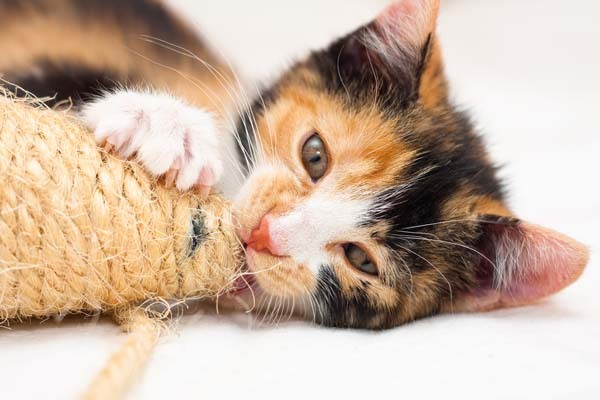 This is probably due to the fact that sailors carried cats on their ships to control rodents, and polydactyls were thought to be better mousers. The exact history of the polydactyl trait is not known, but it was first scientifically described in the mid-19th century. 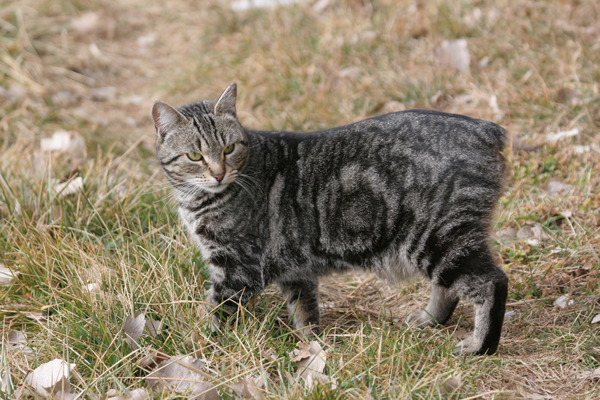 Taillessness has its origin in a spontaneous mutation, which has cropped up in many places around the world, but it became most widely known through the development of the Manx breed. When the tailless mutation occurred on Britain’s Isle of Man, it spread quickly because of the island’s limited cat population and limited genetic diversity. Taillessness is a dominant gene, which means only one copy of the gene is needed to express the trait. Two tailless cats should never be bred together, though, because it can result in severe birth defects or spontaneous abortion. Hairless cats like the Sphynx really aren’t hairless at all — they have a type of hair that gives them a smooth, velvety texture but doesn’t protect them against the cold or sun. This trait has been reported all over the world, and the first written record of a hairless cat came from Paraguay in the 1830s. The Sphynx breed we know today was derived from a hairless cat born in Toronto, Canada, in 1966. 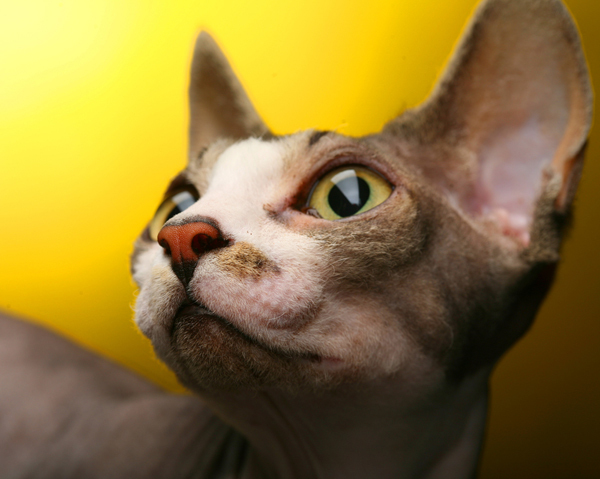 In 2010, DNA analysis confirmed that the Sphynx hairless gene was an allele of the same gene that produces the Devon Rex’s unique curly fur. 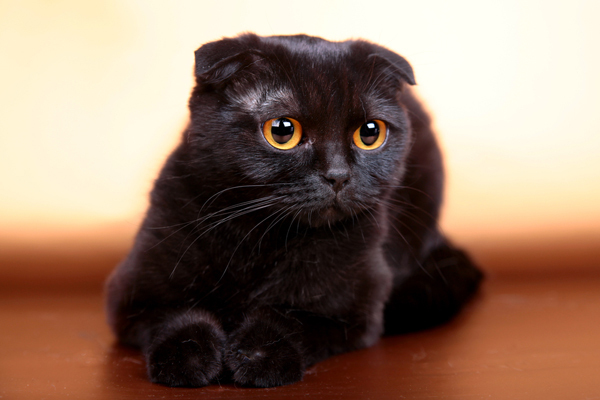 The characteristic forward-flopped ears of the Scottish Fold are caused by a gene that causes the cartilage of the ears to fold downward rather than stand up straight. 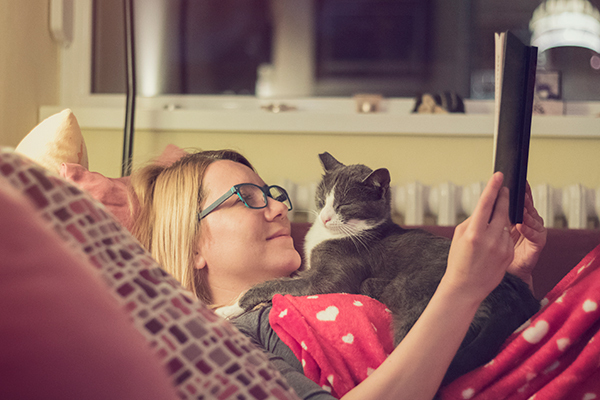 This gene is dominant, meaning a cat only needs one copy of the gene to express the trait. The trouble with breeding for this gene is that it also causes osteochondrodysplasia (say that three times fast! ), a developmental abnormality that affects cartilage and bone development throughout the body. 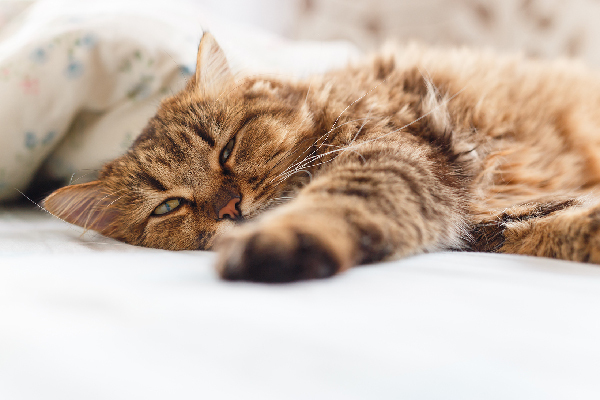 All cats with folded ears have this issue, but cats with two folded-ear genes get a severe case that leads to malformed bones and degenerative joint diseases, which can cause severe chronic pain at an early age. For this reason, Scottish Fold breeders will only breed folded-ear cats with straight-eared cats. Are there any other interesting cat mutations you’d like me to tell you about? Please share them in the comments!